Nwangwu stiff arms a Kansas defender during the Cyclones’ contest against the Jayhawks on Nov. 3. Photo courtesy of Iowa State University Athletics. Three mechanical engineering student-athletes have received All-Big 12 honors for football. 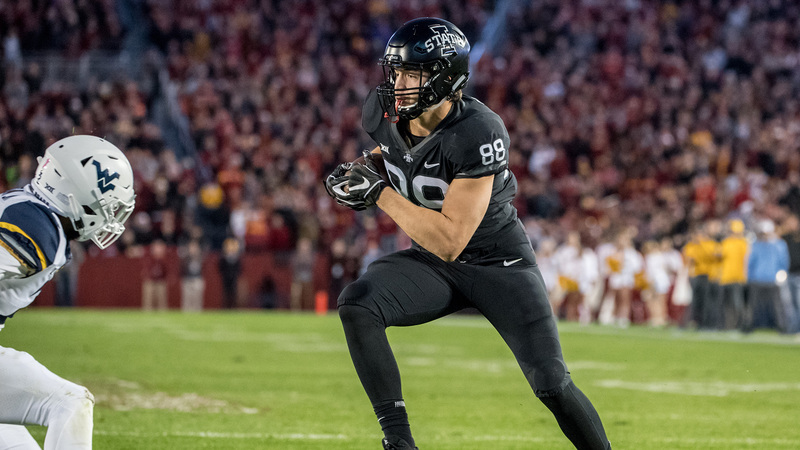 Charlie Kolar, a redshirt freshman tight end, and Kene Nwangwu, a redshirt sophomore running back, were both named All-Big 12 Second Team. Kolar pulled in 10 receptions for 124 yards and three touchdowns on the season. Nwangwu rushed for 143 yards on 38 carries and saw action in all 11 games this season. As a kick returner, he recorded 521 yards on 19 returns, including a long of 58 yards against Texas Tech on Oct. 27. Kolar goes against a West Virginia defender in Iowa State’s game against the Mountaineers on Oct. 13. Photo courtesy of Iowa State University Athletics. Mike Rose, a freshman linebacker, was named an All-Big 12 Honorable Mention. The Brecksville, Ohio native had an impressive debut season playing in all 11 games and compiling 62 total tackles (33 of which were solo) including seven tackles for loss. He also recorded 1.5 sacks and a fumble recovery for touchdown. 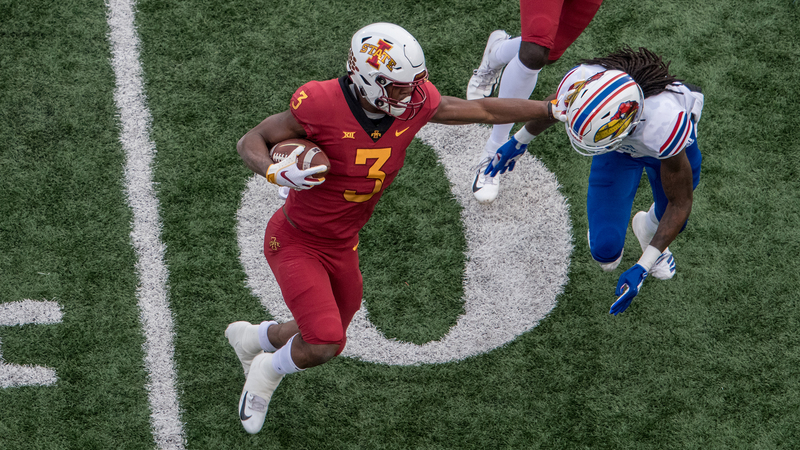 Rose holds up the ball after forcing a fumble and returning it for a touchdown during the game against Kansas State on Nov. 24. Photo courtesy of Iowa State University Athletics. The Cyclones conclude their season on Saturday when they host the Drake Bulldogs. Kickoff is set for 11 a.m.